Linking Aadhaar Card to Mobile Number is become Mandatory and few telecom companies like Airtel & Idea already started the process and sending sms to its users to link aadhaar card with mobile number. 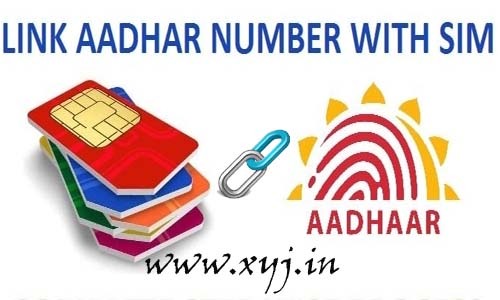 As per the new instructions of The Department of Telecommunication (DOT) all Indian telecom companies / operators have to verify all mobile number by linking it to Aadhaar. 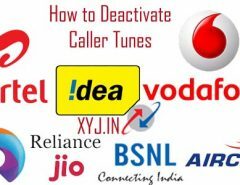 Either you are a user of Airtel, Vodafone, idea, jio, telenor or aircel the said process will work on telecom operator. I want to make you clear there is no option to link aadhar card with mobile number online, so all the users have to visit the nearest retail store, service center of respective companies. The procedure is pretty easy which is described below but before you visit the retail store please carry the photo copy of your aadhaar card and your phone with sim card which you want to link. He / She will send a four digit verification code On your number for the next level verification process. Reply this message by typing “Y” now the process will be completed. Now your sim card is successfully linked to your sim card congratulations. Hope you find it helpful if you have any question in mind the below FAQ may help you if still not satisfy just type your query in below box. Q. What is the Fee to link aadhaar card to Sim Card? Ans. 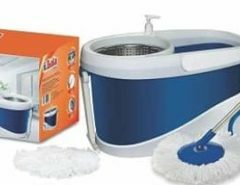 The whole process is free for all you don’t need to pay any fee to any retailer. Q. What is Government’s directive regarding Aadhaar updation for mobile connection? Q. By when do I need to link my Aadhaar card with mobile number? Q. What documents are required to complete the process? Q. What if I don’t link my Mobile with Aadhaar? Q. I do not have Aadhaar card. What should I do? Q. I am a Airtel Broadband/ Digital TV customer. Do I also have to link my Aadhaar? Q. Where can I get my Aadhaar card linked with mobile number ? Q. Do I need to pay for this? Q. What is Biometric process? Q. What will Airtel do with my Aadhaar number? Q. What will happen to my previous details with Airtel? Q. What would happen to my balance? Q. Do I have to change my SIM? Q. Once my no is linked to Aadhaar, will my tariff get changed? Q. I am an outstation customer. Where do I get my Aadhaar linked to my mobile number? Q. I am currently in roaming. How do I get my Aadhaar linked? Q. I am a corporate customer. Do I need to get Aadhaar verified? Q. My name/address is different in my Aadhaar card. What should I do? Q. Will I get any confirmation that my Aadhaar has been linked? Q. If I have multiple mobile numbers, do I have to link each of them separately? Q. I am using a datacard and/or using the Airtel SIM in my data device (Tablet etc). Do I still need to link my Aadhaar number to these SIMs? Q. In case of Datacard, how will I receive the OTP for verification? Q. Do I have to carry my mobile number also for this process? Q. I have already given Aadhaar no. as my POI/POA while buying new connection. Why do I have to verify again? b) If Aadhaar was given only as an identity or address proof and no biometric was done, please visit your nearest Airtel retailer to complete the process.